The origins of this food go back to the medieval times. However it is only in recent years that mushrooms have become an important part of our diet pushing toward necessity rather than a food choice. It has now been proven that some of the mushrooms have a high Vitamin D content. This particular vitamin is vital to our well being. Unfortunately not enough awareness has been raised until recently on the importance of checking the levels of Vitamin D in ourselves. Statistics show that 40 % of the population has lower than normal Vitamin D in their blood stream which can be the root cause of many diseases. Besides preventing bone fractures and rickets, a healthy load of vitamin D can keep the normal immune system working properly; perfectly in tune and finely balanced. It can also help prevent juvenile diabetes, lung disorders, keep thyroid functions in check and can even help prevent some forms of cancer. It reduces chances of getting the common flu, multiple sclerosis and heart disease. Having had more than one personal experience in our family this past year, I decided to share my findings on the critical importance of this vital Vitamin D helps ensure your family is aware and safe preventing avoidable diseases. 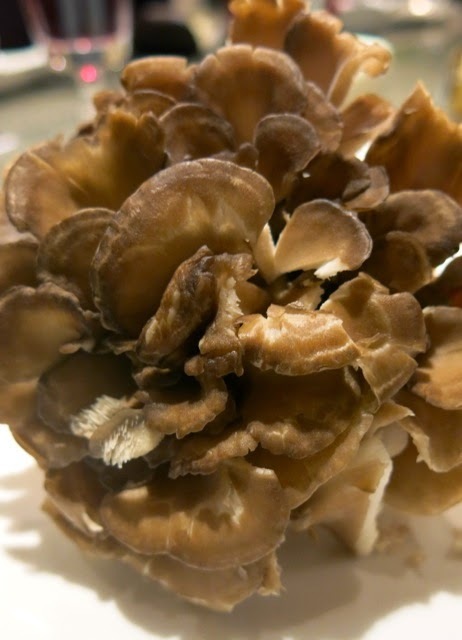 The most potent of all is the Maitake mushroom. Originating in Asia particularly in Japan, it has the highest overload of Vitamin D. This is now being used for medicinal purposes and found in capsules used for boosting ones immunity even against the common cold, cough and flu! Also commonly referred to as Hen-of-the-woods/Rams-head/Sheeps-head in the western world. Shitake mushrooms have been linked to longevity and its origins are in East Asia. It contains high levels of multiple Vitamin B's and iron but also contains a relatively high level of Vitamin D.
The Reishi is a Chinese mushroom used medicinally to balance our organs to function properly. It is rather bitter in taste and is hence more commonly ingested through natural medications. Believed to be anti-tumor, liver cleansing and generally immune building, it has been known to be in use at some Cancer Hospitals around the world. The simple grilled Portobello/Portebello/Porteballa mushroom is probably the fastest and best way of having your daily Vitamin D.
To prepare it remove the stalk which is rather woody and fibrous, but edible. Using the tip of your teaspoon remove the gills. Again these are edible but may taste a tad bitter and so best discarded. Picking the best one from the bin rather than buying a packaged box will ensure freshness of this mushroom. It should be dry rather than moist, lighter rather than darker in colour as the older it gets the blacker the gills. Mushrooms have spores which breathe, store them in your vegetable drawer away from plastic bags. Brown paper bags are the only way to keep mushrooms. Once you purchase them consume within 3 days. Old mushrooms tend to loose their goodness. Morels are also relatively high in Vitamin D. However these are expensive and hard to find. The White Button mushrooms are the most common variety. They have vitamin C and Vitamin B's in them but not particularly high in Vitamin D.
In comparison to the white, the Brown mushrooms, also referred to as cremini/crimini/chestnut mushrooms have vitamin B in it as well as potassium and selenium but no vitamin C or D.
Grown universally the mushrooms are now believed to have 'added' Vitamin D. Farmers do this by passing their crop under a special UV light for a few seconds before distributing them! The best news however is that mushrooms do not loose their vitamin and other food contents on cooking. However it is advised not to over cook to help retain the maximum benefit. General cooking time should be between 5 and 7 minutes to keep the good food values intact. Eating 3 mushrooms a day should keep the doctor away? Here are some interesting recipes with mushrooms on my blog to check out.